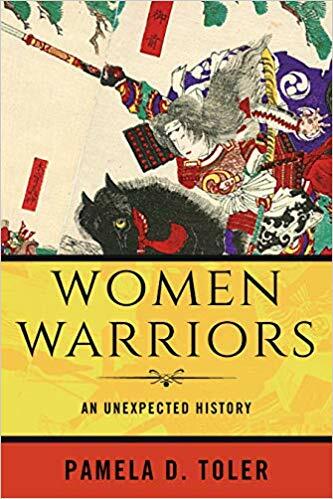 This entertaining and informative history of women warriors briskly covers huge swathes of time and place, arguing for the significance of a phenomenon as old as warfare itself. With Women Warriors: An Unexpected History, Pamela Toler (The Heroines of Mercy Street: The Real Nurses of the Civil War) reveals a history many readers will meet with surprise as well as fascination. By the end of this brisk accounting of just some of the many women warriors Toler found in her research, she makes it clear that while little known, this phenomenon is neither new nor unusual. Women Warriors is a broad examination that spans history from the second millennium BCE through the present, and across Europe, Asia, Africa and the Americas. Toler details dozens of examples, from the better-known (Matilda of Tuscany, Njinga, Begum Sahib and, of course, Joan of Arc) to the obscure (Ani Pachen, Mawiyya, Bouboulina), in two- or three-page summaries. She notes primary sources in each case and questions “facts” where appropriate (for example, numbers of troops are notoriously dubious), often presenting a fact in the main body and then questioning it in a footnote. Chapters organize women warriors into mothers, daughters, queens, widows; besieged defenders and leaders of attacks; women disguised as men and women undisguised. Plentiful footnotes serve an important role, especially evidencing a certain wry humor, as when Toler repeatedly and impatiently points out the tendency to compliment women as behaving like men and to denigrate men as behaving like women (a habit consistent throughout history and common to women as well as men). Double standards are likewise emphasized, as in the way historians and archeologists have examined evidence. For example, the grave known as the “Birka man,” from 834 CE, had long been considered that of a male because of the martial burial items found with him. In 2014, a bioarcheologist determined that the bones were actually that of a female. Despite follow-up DNA testing, scholars, archeologists and historians continue to argue about the identification of the Birka woman. As Toler points out, the scholarly contortions now employed to deny her status as warrior were never mentioned while her skeleton was assumed to be that of a male. This review originally ran in the January 17, 2019 issue of Shelf Awareness for the Book Trade. To subscribe, click here. Eula Biss, who I adore for Notes From No Man’s Land, with her second nonfiction work: On Immunity. The precipitating event here is Biss’s becoming a mother. She has a new baby to worry about, decisions to make about vaccinations, and the H1N1 flu strain is spreading frighteningly. She’s surrounded by other mothers who have a wide range of feelings about vaccines and immunizations. In danger after giving birth, Biss is given a transfusion of blood from a public blood bank. These events and opinions swirl in her head, and because she’s Eula Biss, she does research. She reads widely, from antiquity through present-day research articles and conspiracy theories; she interviews doctors, including her father, an oncologist. In fact this is a family affair, calling not only on the father (a sympathetic, sweetly caring, somewhat fatalistic man) but Biss’s mother, a poet, and sister, a Kant scholar and professor of ethics. Biss’s son turns out to battle significant allergies; she and her husband have to decide whether to have him undergo surgery, as well as simple vaccines. Obviously, the timely subject is the “anti-vaxxers” movement (a term Biss never uses), with their claims that vaccines can cause autism, among other things (the autism claim in particular unsupported by any scientific evidence, although as she points out, a theory once voiced can never be retracted). Vaccination and variolation go back a ways, though, and part of what Biss undertakes here is a social history from the beginnings of germ theory and the Jenner vaccine through the present. Because she is a literary mind, she is also concerned with myth, literary history, and linguistics: in the first few pages, she searches for synonyms for protect and comes to shield, shelter, secure, and then inoculate. The very first page deals with “the first story I ever heard about immunity”: that of Achilles. She ranges across Voltaire’s Candide, Rachel Carson’s Silent Spring, and Bram Stoker’s Dracula, the latter carrying a lot of weight especially late in the book. In other words, it’s the kind of essaying I love: multidisciplinary examination of an important topic of our time and of all times. There is a central ethical question here, as Biss interrogates the idea of ‘herd immunity’ (unfortunately, as she points out, sounds awfully close to ‘herd mentality’ with its negative association). If only most of us get immunized, a few of us can get away with skipping it; but the threshold for safety within that model is detectable only when we’ve passed it. And the few who skip vaccines, and get away with it, thereby relying on the many who did their civic duty: well, there’s something a little selfish about that, right? Biss has said in an interview (crediting her sister with the idea) that this is much like traffic laws. One or two people can blow through stop signs and get away with it if most of us are obeying the law. But if enough of us disregard that stop sign, soon there will be carnage, and some innocent rule followers will be hurt as well. I’m also thinking about mountain bike trails, because it just won’t stop raining here where I live. Sure, the trails will recover if a few people ride them wet. But only because most of us don’t. Which actually makes the few who ride ruts into the mud really selfish, in my opinion. Out there having their fun while I stay home and wait less and less patiently for the right conditions. This is also about the extent to which each of us is an individual, and in turn part of something larger, like it or not. The immune system was not introduced as a concept until fairly recently, in the 1970s. Biss muses on the blur between the natural body and the body politic, the ways in which we are undeniably individual (I can clearly see where my body ends) and undeniably united (as in shared risk). These are some of the many beauties of On Immunity. I learned a lot. And I appreciate the ways in which it is like Notes From No Man’s Land. Both deal with what it means to be a citizen, and what damage fear can do. (Also, it will perhaps not surprise you to learn that racism has played a role in the history of immunization.) But, I don’t know, this one did not blow me to pieces like the earlier book did. For one thing, the organization of this book is very different from that last one. On Immunity reads like a single, long narrative. Page breaks are merely breaks; the thread (or various braided threads) connects each smoothly. This is not an essay collection but a long essay in (untitled) chapters. Notes is properly a collection, with an organizing scheme, meaningfully titled chapters, and an order to them. 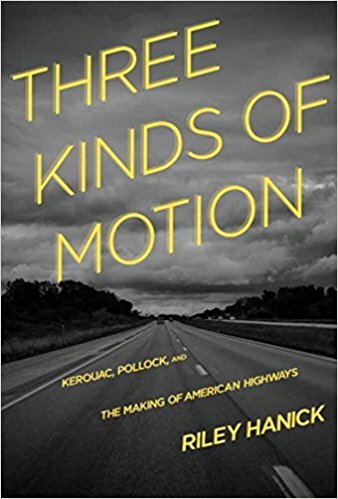 It has been a good two and a half years since I read that one (and went back and reread a short section a little more recently), but what I recall is incandescent line-by-line writing, fascinatingly complex structure, and great subtlety. 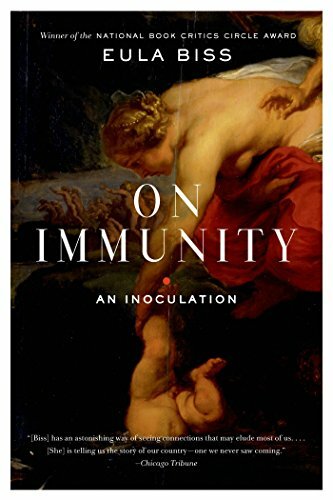 This one, On Immunity, is a good book in many ways. But none of these three elements struck me. The writing is always graceful and clear and communicative and often clever, but it did not ring for me like poetry. The structure – well, there is still a structure, a braid, and a range. There are recurring characters (the family members). But I missed a table of contents that could almost be read itself like a song. And the subject matter is faced much more head-on. Not a criticism; but a very different kind of book. The subtitle actually started out as a little joke to myself. I didn’t intend for it to remain as the subtitle. But once that subtitle stuck I did start to think of certain aspects of the book that I was uncomfortable with as working like an inoculation works. 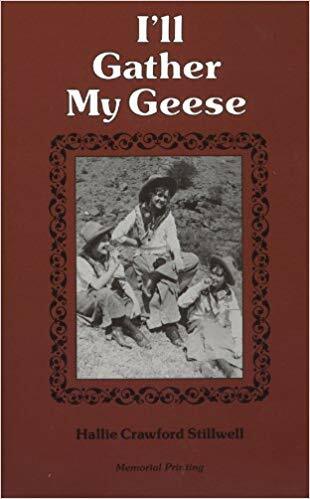 One of the things I was reluctant to do in this book was repeat fears of vaccination and risk spreading them further, because many of the fears of vaccination that I write about in this book were fears that I didn’t know about and didn’t have until other mothers shared them with me. I felt a little bit infected by fears I hadn’t had before, and I didn’t want to participate in doing that more. So when I started thinking about the book as an inoculation, I saw the possibility that it could work the way a vaccine works. A vaccine introduces a small amount or a tempered version of the virus into the body — just enough to that the body is able to recognize it and deal with it when it encounters it again in the future. So I was thinking that maybe the book would work like this. If I introduced these fears to readers who may not have encountered them yet, perhaps I could introduce them in a way that would better equip those readers to deal with those fears the next time they ran into them. I’ll end there: with a lovely metaphor for the fine work of this fine book. I only found out that this movie existed thanks to my current favorite podcast, Another Round, so thanks to Heben and Tracy for that! And so timely now. I read Anita Hill’s memoir, Speaking Truth to Power, more than five years ago. It was a powerful experience: she did a beautiful job telling her story, and it’s a hell of a story to begin with. I was nine years old when Clarence Thomas’s confirmation hearings took place. I don’t remember them as something I directly experienced; my knowledge of these events comes from hearing other people (like my parents) talk about them, and from reading her book. This movie is an excellent follow-up as well. If you’re looking for an education about what happened, I suggest Hill’s book for its level of detail. But if you’re looking to grasp the feeling, the emotional truth of this time period, the movie does a good job. Hill, Thomas, and Joe Biden are all played by actors who come remarkably close to their roles not only in physical appearance but in movements, speech patterns, and mannerisms. The feelings (on one side) of shock and concern and ill-boding about what will come of all this, and (on the other side) of indignation and impatience and real threat unlooked for, are well captured. Again, as someone who doesn’t remember viewing the confirmation hearings when they happened, I spent some time pausing this movie to pull up old video from the real events, comparing both the wording and the delivery. It’s pretty spot on. All of which means it was hard to watch. I guess there may be people out there who question the truth of Hill’s allegations, but I can hardly imagine who they might be. Not women, for one thing, because all of us women who have lived and worked in the world know that these things happen, and we know well why a woman might not speak up when it happens, as Hill’s critics kept harping on about. It should go without saying, but: I am horrified that we are seeing these events play out again twenty-freaking-seven years later with Brett Kavanaugh. Horrified. Weirdly, though, I found the movie less difficult to watch than Anita Hill’s book was to read. You’d think the movie would be more visceral because of its visual and aural elements. But Hill’s writing admirably matches her speaking: calm, measured tone, far from devoid of emotion but thoughtful and thorough. Like the lawyer she is, she is careful with fact and clear about where she speculates. She relies on the strengths of her arguments and the truth. I found this careful telling even more moving than the movie. In a nutshell? A recommendation for this movie, and an even stronger one for Hill’s book. And a sound shame-on-you for our country still struggling to treat women with respect, like as if we were real human beings, and for punishing and not believing us when we speak up. I hope someday the cases of Anita Hill and Christine Blasey Ford will cause history students to gasp in disbelief, rather than nodding their heads in recognition of the same old story. About three years ago, I reviewed Strong Inside. My father just got around to reading the galley copy I gave him when I was done with it, and he left the following as a comment on that post. I thought it deserved better billing, here. I was in high school becoming obsessed with basketball around the time Wallace became the first black athlete in the SEC. He played basketball for Vanderbilt, a university that would later accept my application although I attended elsewhere. I was entirely unaware of Wallace at the time, but I knew most of the prominent players and teams that comprised Wallace’s sports world. I was also ignorant of the more significant social struggle that defined his life, which despite other proximities I learned largely in retrospect; that’s an education that continues today with the help of narratives like this one. His story is iconic in so many ways, and it is a gift that Maraniss discerned this and spent eight years preparing to tell it: Wallace was a boy raised amidst Nashville’s version of the civil rights movement, with maturity enough to see beyond his social place, and beyond just sports, to recognize potential both in higher education and his prospect as a pioneer during a nation’s essential historical moment. 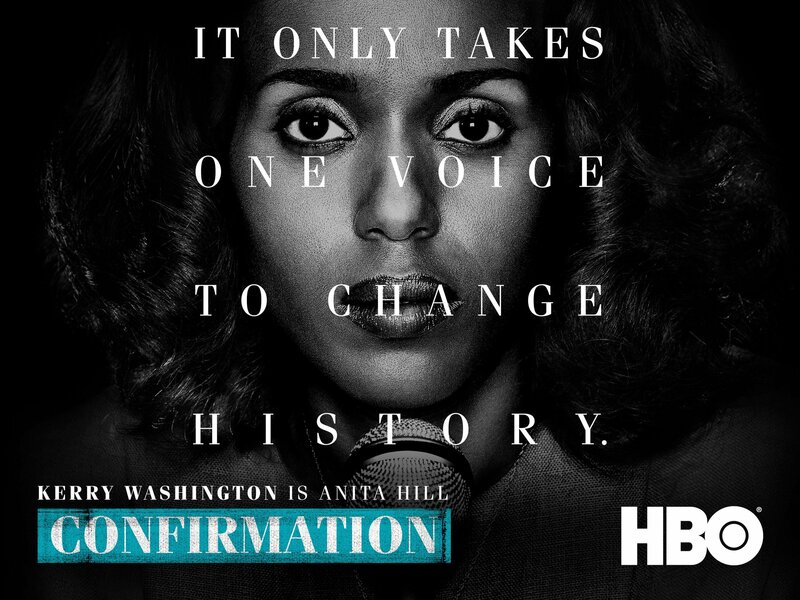 The result is singular insight into the civil rights movement, from the intimate perspective of a special person at very specific time and place. 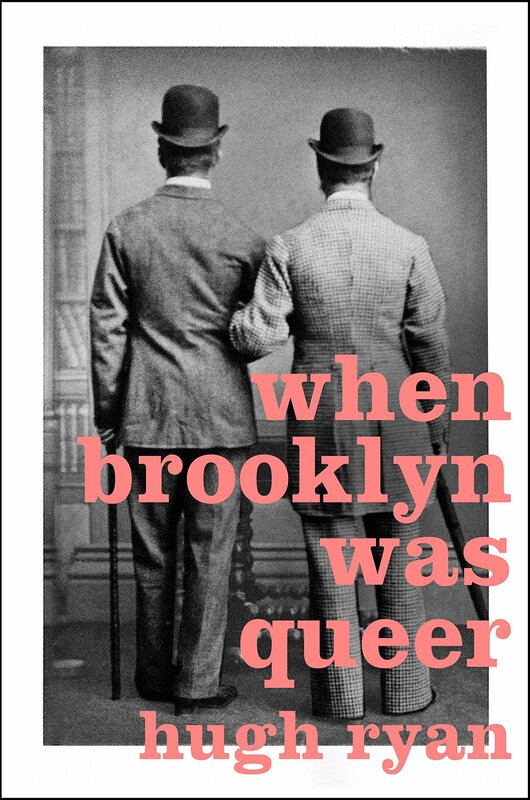 As such, this book reminds us how capricious history can be as it consists of stories we choose to preserve and honor. Thousands of people contributed to this era’s history; few are as compelling and admirable as Perry Wallace, from start to finish–or as thoughtfully captured as Maraniss has done here. One must wonder, how many other such strands of history go missing? That’s perhaps the saddest part of this tale, how many important stories go overlooked. Here he stood, achieving closure in a joyful setting, when in so many cases throughout history, African Americans who had accomplished significant things had ultimately been cut down in tragic ways. In an email to me, Pops offered a more personal series of reflections, and permission to share here. During the summer of 1968 my parents arranged for me and a friend to drive a Jeep wagon from Houston to New England for a relocating family. 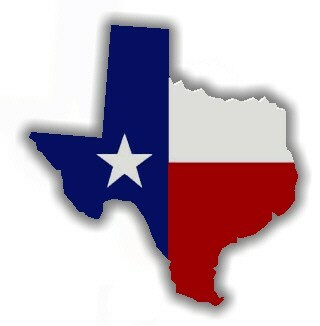 At a very immature 17, I found it an amazing and daunting challenge of independence at the time, and still. We chose a route through the deep south with no clue as to events or risks; I have no idea why, or why no one counseled us about this. So we passed south of Perry Wallace, but – more significant and relevant – the chasm between our paths was immense. We passed through DC in late June soon after the Poor People’s Campaign had been forcefully evicted from their Resurrection City shanty town (3000 people) on the National Mall after more than a month, a time that included heavy rainstorms that resulted in a muddy morass. 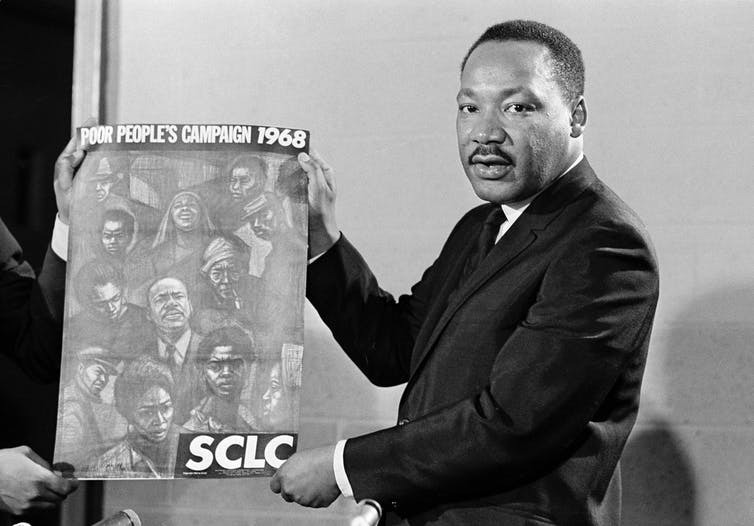 MLK had been killed in April during preparations; RFK was killed during the occupation and his funeral procession passed through Resurrection City en route to Arlington Cemetery. When we drove through, we marveled at the filthy desolation on the Mall, and kept on going. A particularly nostalgic and tragic anecdote (of so many!) was the page-long excerpt in Strong Inside from RFK’s speech at VU, less than 3 months before he was killed. One never hears such hopeful and ambitious expressions of American idealism today, from anyone; but I remember that naive 1960s legacy, which we were trying to build on in the early 70s. Sports references – so many! 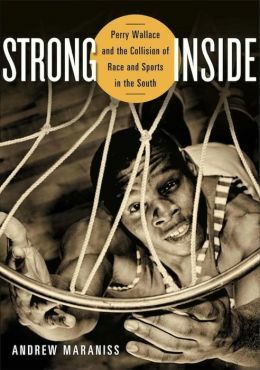 I wonder if you recognized the name Harry Edwards, the radical sports leader described in the book; he was very influential amongst prominent athletes like Alcindor (Kareem Abdul Jabbar) and later Bill Walton, well into the 70s. I remember the 1966 story when the all-black team from tiny Texas Western (now UTEP) beat Kentucky to be national champs in El Paso (!!) – such a stunning sign of things to come. A major star from my Houston Memorial HS was Jerry Kroll, who from 1967 helped lead (with Mike Maloy) the Davidson teams mentioned in the book, so I knew of Davidson and followed their success at the time, as did Wallace. I knew most of the prominent player names Wallace crossed paths with: Rick Mount, Charlie Scott, Dan Issel, Bob Lanier, Pete Maravich, Calvin Murphy (you know that one!). Wallace was mentored later by famous 76ers coach Jack Ramsey. The University of Houston had strong teams then, especially with Elvin Hayes; in January 1968 the “Game of the Century” had UH facing Alcindor’s UCLA team (both undefeated) in the first ever college basketball game on national TV, and the first basketball in the Astrodome. It held up to the hype, I followed it closely, and UH won by 2 in a great game. I wished I had gone, but imagine trying to watch a game way out there in the center of the Dome! A larger iconic moment was the Mexico City Olympics later that year, with Smith and Carlos raising black-fisted gloves in the awards ceremony; a very powerful moment with the whole world watching, and again I was paying attention because of the confluence of sports and cultural political events. 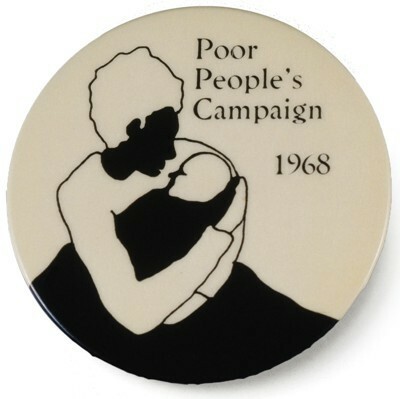 I’m sending on this essay about the Poor People’s Campaign only because it overlaps with my recalled 1968 history (see photo below) – a history in focus now with a year’s worth of 50-year anniversaries. Also: The Atlantic has a whole series on King, including this essay from Jesmyn Ward about her family’s legacy of poverty and why she is raising her own kids back home in Mississippi. Also, my anecdote: as MLK’s multi-racial poverty campaign was ramping up, he was referencing in part The Other America, a classic still on my shelf authored by an American ‘democratic socialist’ in 1962. Plenty of reading there for today, friends.